Italy, the country that gave us pizza, pasta, Ferraris and of course the world's biggest national lottery, the SuperEnalotto draw. Italy's favourite lotto is available online, right here at Lottoland, so read on for full details on how to enter. If you don’t know anything about SuperEnalotto, don't panic, you're not alone. This crazy lottery is relatively unknown in Ireland, but its jackpots are more mouth-watering than a slice of fresh Italian pizza. With no jackpot cap, or roll downs, SuperEnalotto prizes can get seriously big. The current jackpot is a casual €128.9 million, while the all-time record win was a massive €177.7 million. 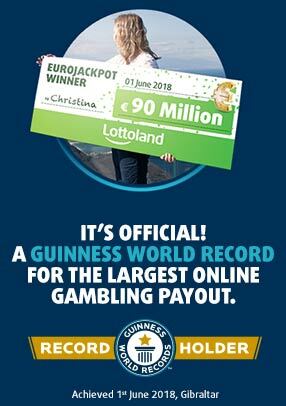 For perspective, that's very close to the all-time record EuroMillions jackpots…. SuperEnalotto is Italy's most popular lottery draw, and it's not unheard of for jackpots to exceed EuroMillions, an incredible feat for a national lottery. SuperEnalotto can be a tough cookie (or should that be biscotti? ): with jackpot odds of 1 in 622,614,630 it is the hardest jackpot in the world to win, even eclipsing those massive American lotteries like MegaMillions and PowerBall. However, if it was easier to win it wouldn't boast such incredible jackpots. With Lottoland entry to SuperEnalotto is simple. Just head to our SuperEnalotto page, select your numbers and choose how many draws you want to enter. Players choose 6 numbers between 1 and 90 and each lotto line costs just €2. 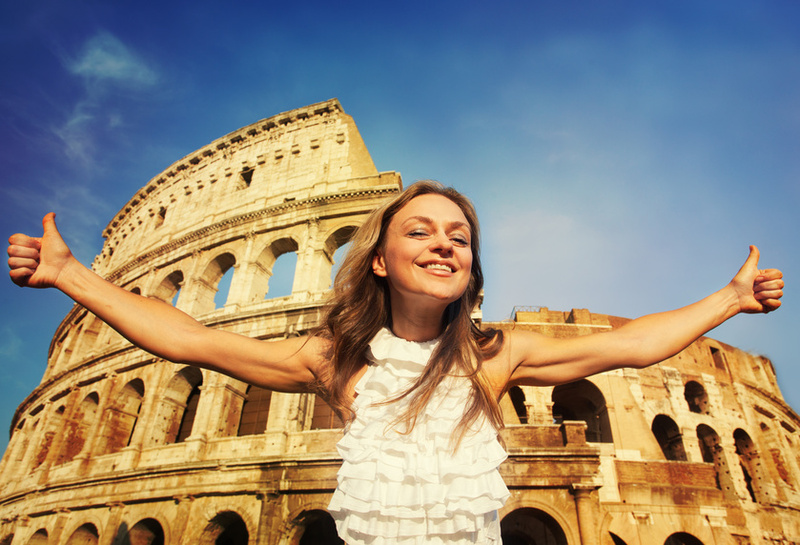 Italy's favourite lotto has no less than three weekly draws, on Tuesday, Thursday and Saturday, giving you three chances to become a millionaire every week. And, as there's no jackpot cap on rollovers, the sky's the limit as far as jackpots are concerned. So, technically speaking, SuperEnaLotto is a potential contender for the world's biggest jackpot. It may take a lot more rollovers to come close to PowerBall's record, but, as we've seen many times this year alone, once a jackpot reaches that size the snowball effect takes over and suddenly everyone wants a piece. A far more likely situation, however, is that it will eventually regain its European jackpot record from EuroMillions. As it stands SuperEnaLotto's record is just under €13 million shy of the maximum winnable amount on EuroMillions (€190 million). Yes the jackpot had been rolling over for a total of eight months, but another couple of weeks and even the mighty EuroMillions would have been toppled. Could that ever happen, realistically? Well, lotteries are our business, lottery odds are our expertise and so the answer is yes, we think it just might. Our own record isn't quite so high just yet, but that's not to say we haven't had big wins here at Lottoland. David, our anonymous winner from London, was lucky enough to match five numbers to win £46,000, or around €53,779. "I didn't actually know about the SuperEnalotto", he told us, "I think I played it simply because of that." He's hardly the only one, of course, though we predict even bigger wins once word of mouth starts to spread. David was actually preparing to go on holiday before the big win. We assume he'll have altered his plans slightly, haven taken his new windfall into consideration. Whatever his destination he now joins the growing list of Lottoland winners who've made the switch to us and won big! Say "Arrivederci" To Your 9-5! How'd you like to win €128.9 million this Saturday? Sure the odds are high, but then nobody ever said becoming a multimillionaire is easy! And besides, that just makes that victory taste all the sweeter! "Hey, it's me, I won't be coming in today." "What? But we still need you to..."
"Have you ever heard of SuperEnaLotto?" "It's one of the world's biggest lotteries - and I just won €128.9 million on it." "Seriously. I'm a multimillionaire now so yeah, you'll need to find someone else to...."
"Wait, what was the name of that lottery again?"